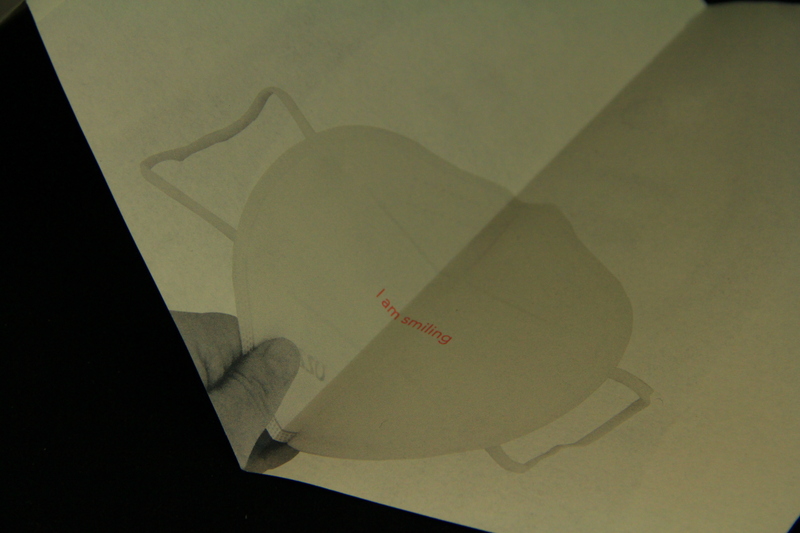 We asked Wenjing further questions as she prepares for the show and life after Camberwell. Smog pollution is the key phrase of my final show; I’m not just focusing on the smog itself but also the underlying issues. 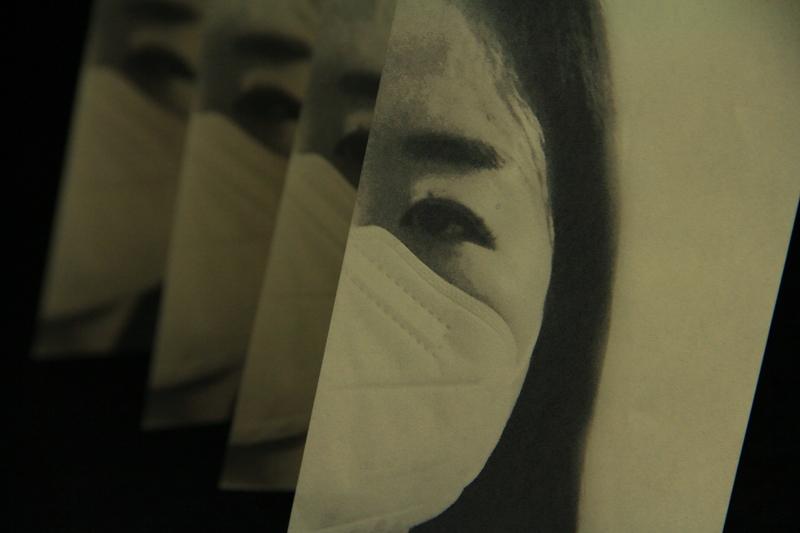 The three works of my final show are Sun in Smog, In the Smog and Under the Mask. They are based on the process of my research, and also represent the development of my idea. The three pieces work individually and also have connections with each other. 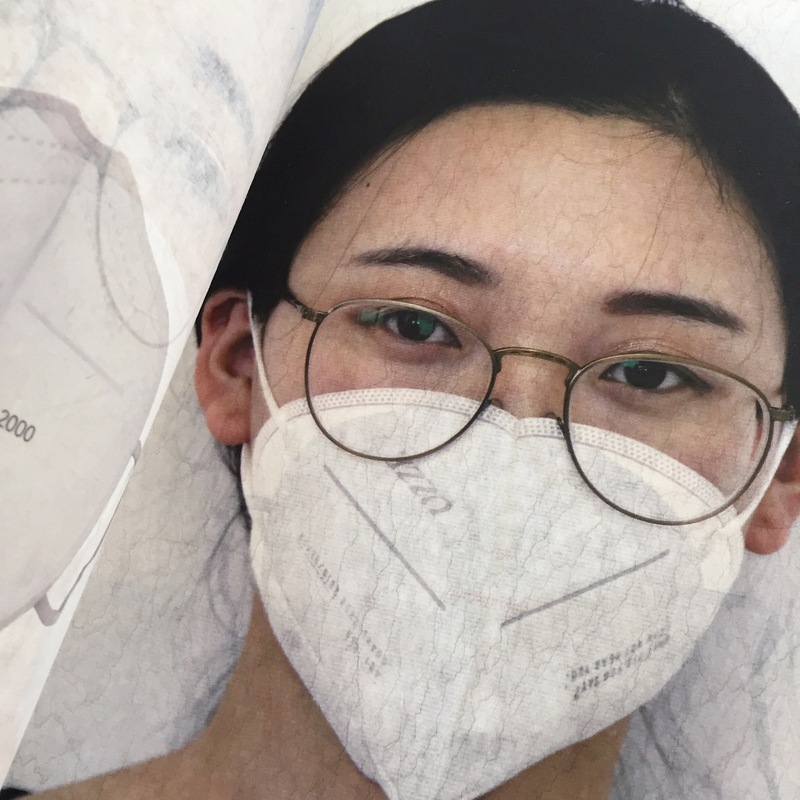 Sun in Smog is a photographic book about the polluted landscape in China. I hope this book can deliver a direct and powerful message to the reader. 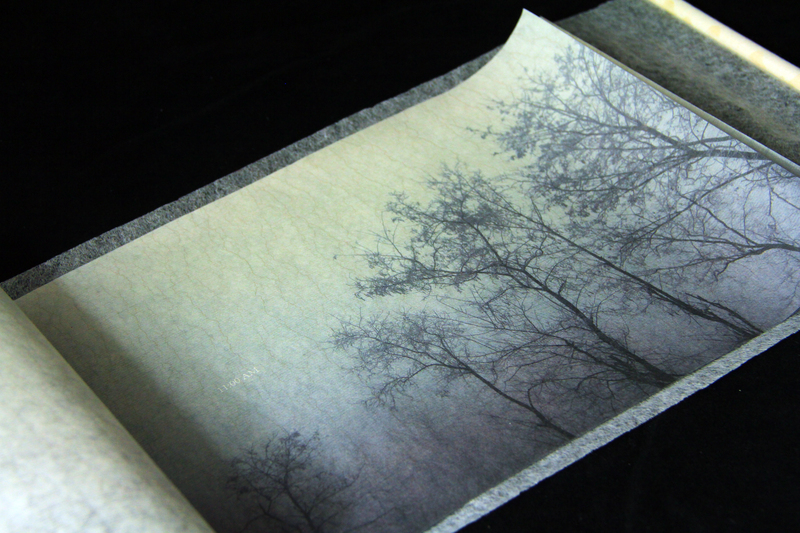 In this book, I tried to balance the relationship between Photography and Book Arts. 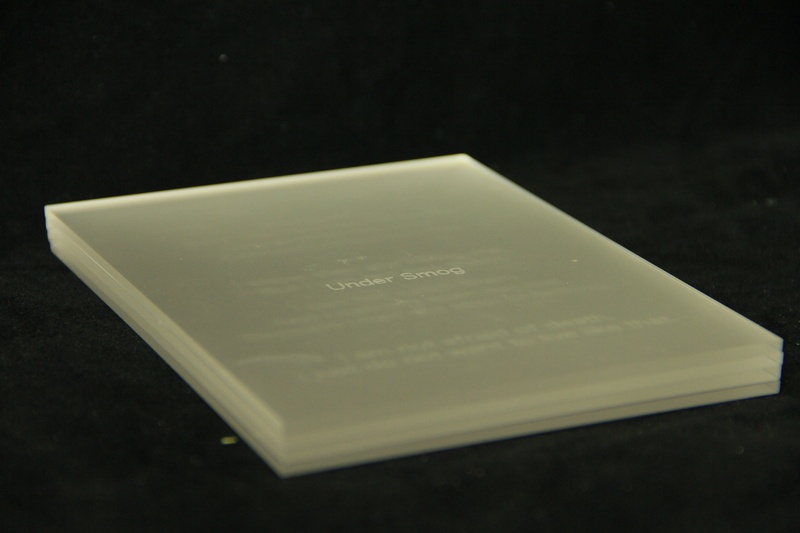 I think a book should be part of a work instead of the medium to display the photos or text; so the text in the book is given a narrative sense by means of the time sequence. 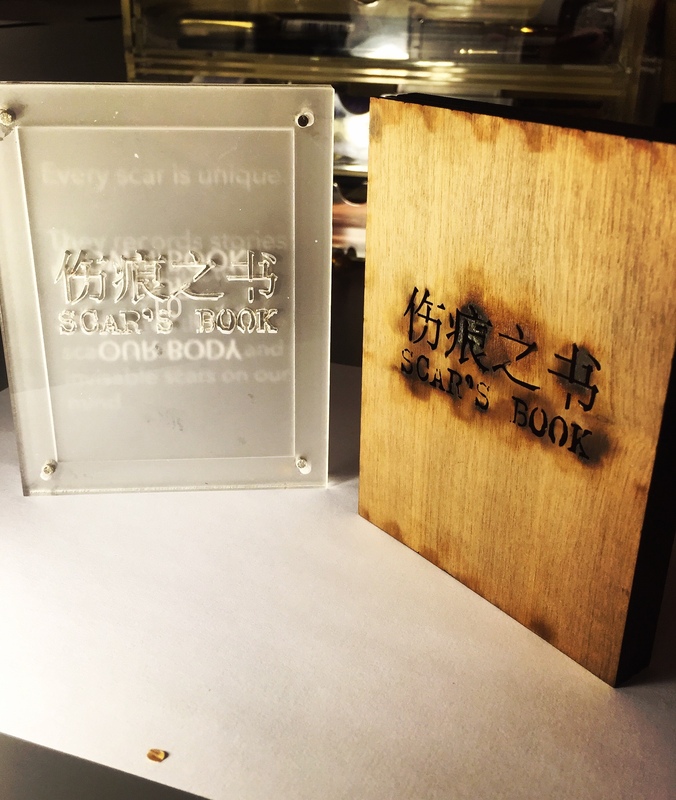 I used light Chinese paper with a ripple pattern and the traditional Chinese binding method in a way that could make Photography and Book Arts integrate properly. 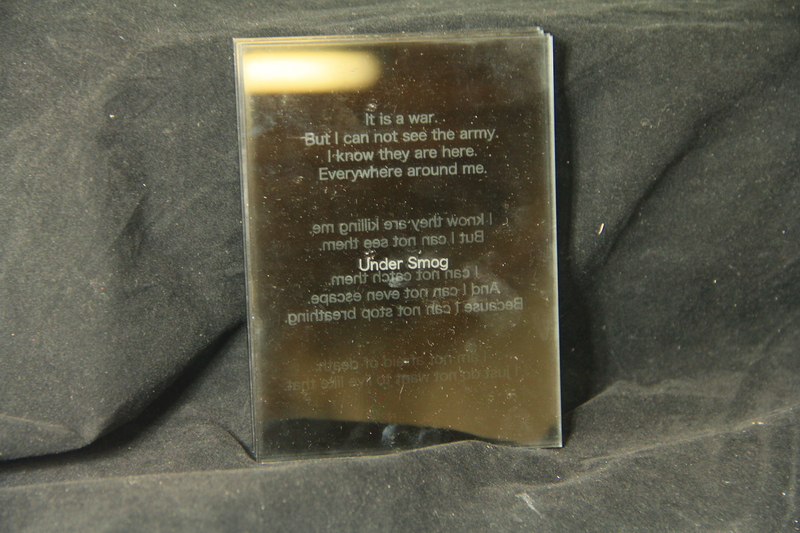 In the Smog is composed of sounds and glass bottles with collected smohy from China. 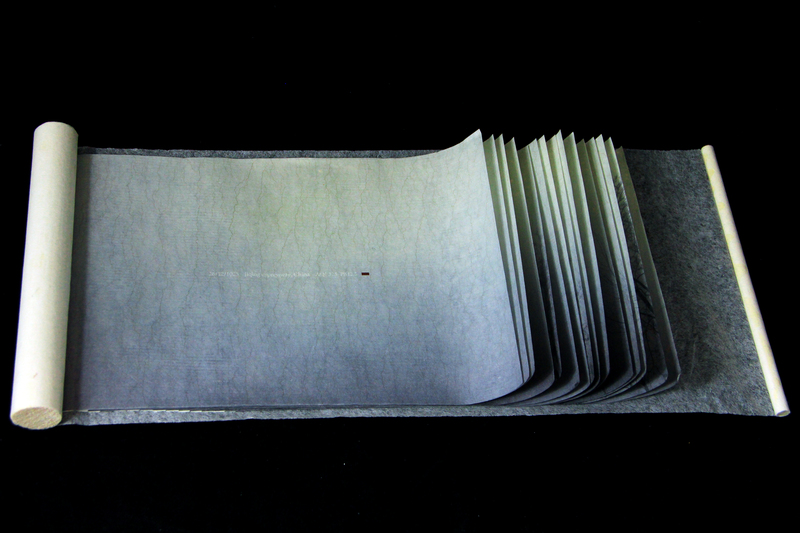 In this work I want to experiment with more possibilities of Book Arts. The highlight of this book is the process of collecting and sending smog from China to London. When the audience have a “conversation” with my work they will be “in” the smog and become a part of my work. 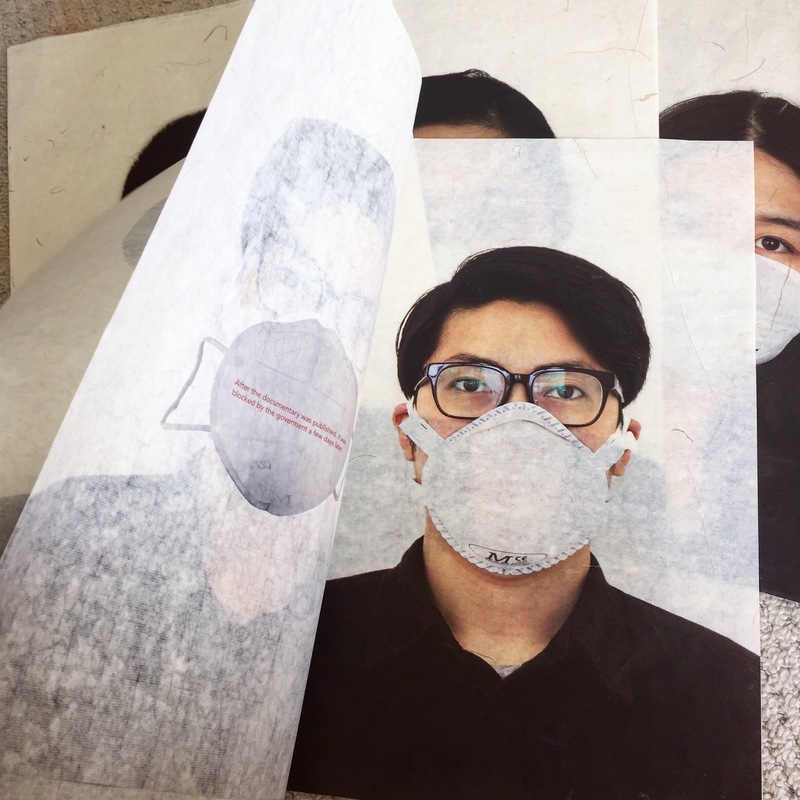 In Under the Mask I chose some social news about the smog and applied them to newspaper form along with photo portraits. The title Under the Mask is a reminder there is more to discover under the literal surface. I want to leave the audience their own space to think about the relationship between an individuals rights and the policies. My tutors and my classmates have helped me a lot with my work. I liked seminar classes in which we shared our works together and exchanged ideas, I also liked the tutorial classes with Susan and Les, they help me extend my ideas and rethink the problems of my work. I found the technicians in the 3D workshops, in particular the wood workshop, and the letter press workshop are very nice and patient. I quite like Lorna Simpson’s photography works; they are beautiful, unique and leave me enough space to imagine and think about the deeper meaning of those photos. 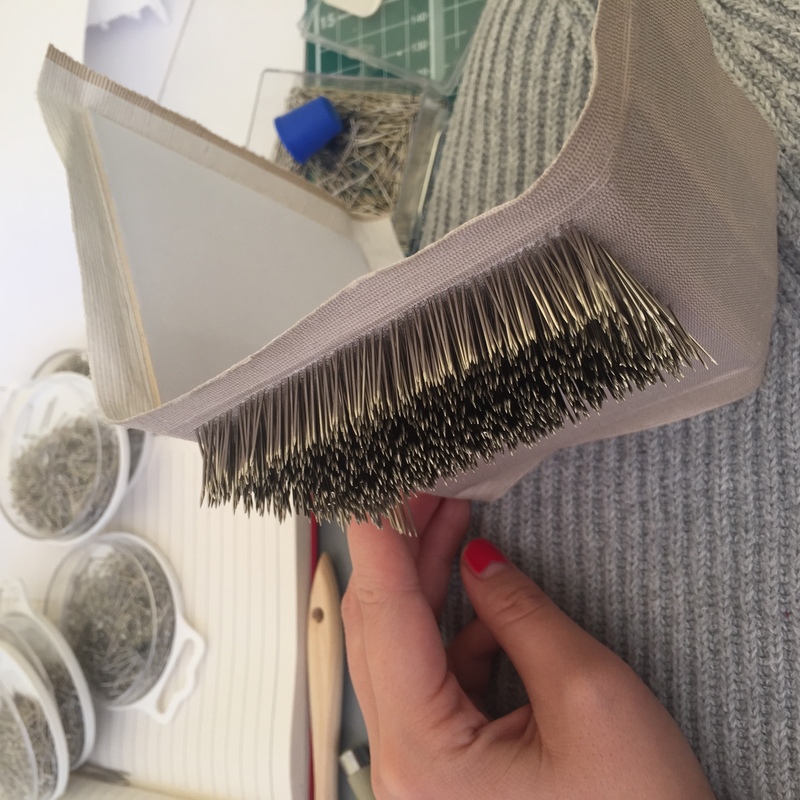 After I did a short Conservation course in London I found I’m very interested in Conservation, the course led me to understand paper and book binding better. I would like to apply for the MA Conservation course at Camberwell but I will probably have to start work first and save money for it. It’s showtime, how is the atmosphere? The air/smog collections in bottled glass from China stayed in UK customs for several days, usually it is a very quick check, so I was worried that UK customs wouldn’t let these “dubious” bottles through! For this summer to be honest just traveling around Europe, nothing to do with study! 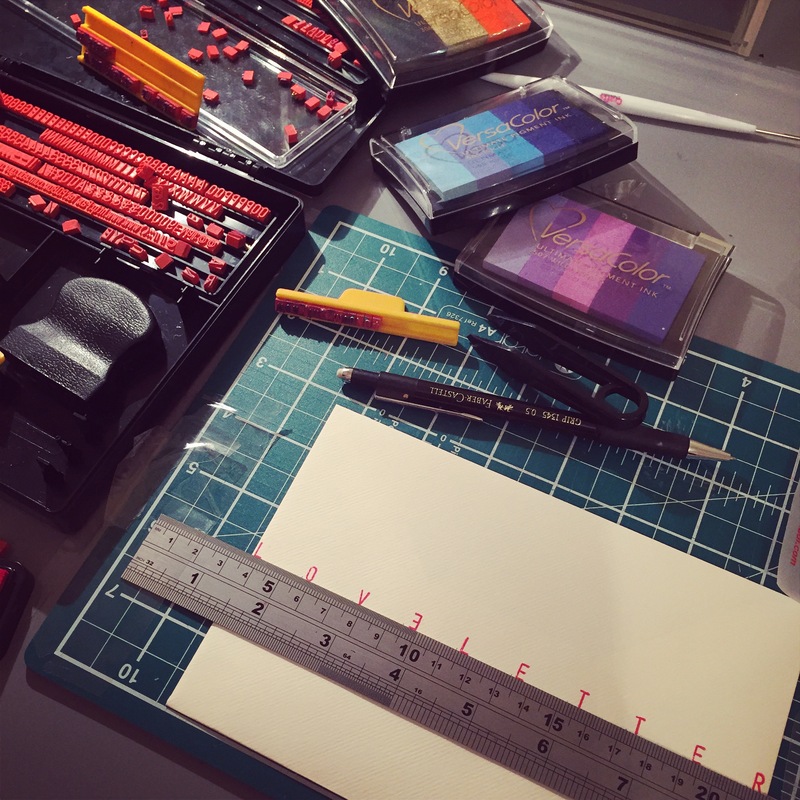 And finally, do you have any advice to students looking to start MA Book Arts at Camberwell? When I stared my first year course I had many ideas so I tired to mix them all into a book, it was very complex and it took me a lot of time. At the end I found the work wasn’t very good, so I would advise not to mix many ideas together, but make one idea strong, if you focus your interest you will find the joy of making a book.